The Gerber Contrast Knife is the epitome of style, functionality, and quality in your everyday carry knife. Its dual G-10 stainless steel design is a true work of art and innovation, combining eye-catching appearance and high-quality performance. 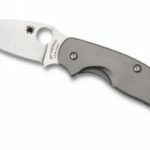 The versatile knife comes in at just over three ounces highlighted with a three-inch blade – making it exceptionally lightweight and durable providing an unbelievably comfortable and dexterous feel to the grip! It features an Assisted Opening 2.0 mechanism that permits fast and instant one-handed deployment for both hands. A sturdy, detachable pocket clip and lanyard connection point, meanwhile, guarantees that the Contrast can be used with great ease and accessibility when needed. 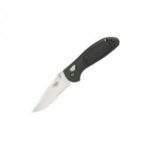 The Gerber Contrast Knife follows a drop-point blade with its cutting edge sloping beautifully on the spine of the knife from the handle towards its tip. It comes especially sharp out of the box and can carve out wood with ease like you were peeling of a potato. 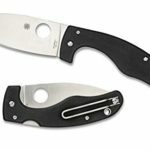 Aside from slicing and dicing wood into figurines, this handy knife can serve well as a backup and pocket knife while you are out in the field. 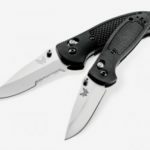 It is not the best option for a primary knife, though, for activities like hunting, camping, or mountain trekking where a larger knife would provide better utility. It shines the most when used as a backup, for preparing meals, light duty action, and secondary roles. You can use it to cube chicken, cut vegetables and fruits, and open up can goods with great ease. 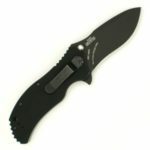 It’s durable but lightweight G-10 handle makes the Gerber Contrast knife very easy to maintain in your grip. The G-10 also features a rough texture for a more reliable grip that allows for precision cutting action. A Stainless steel bolstering fastens the blade into the handle while a frame lock ensures that the blade is secured inside until you open it. Overall, the knife is designed for easy handle and accessibility. How often do you see a $30 knife with a cutting edge that is as excellent as a $150 knife? Gerber has really done something exceptional with this contrast knife. It provides reliable cutting functionality, great handle design, and light weight, comfortable feel to the grip, making it a welcome addition to your outdoor utilities. And its Assisted 2.0 mechanism is just superb! 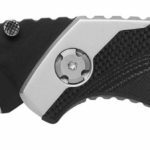 It allows the opening and closing tension even all throughout and the knife is easy to flick open either with a thumb or a snap of the wrist. 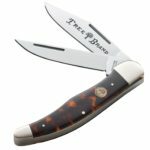 Though it may not be wise to use it as your primary knife in one of your hunting trips, it does make a great back up knife. You really won’t go wrong brining this handy knife along with you in one of your outdoor trips!